Deal: Discount Ski Tickets for the Big 3! One to 8 day ski tickets at up to 28% off! Check out our great Hotel picks and by owner vacation rentals for Banff! 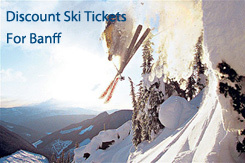 We offer discounts on ski tickets, ski rentals, lodging, by owner rentals, and apres ski ideas for Banff, Canada. 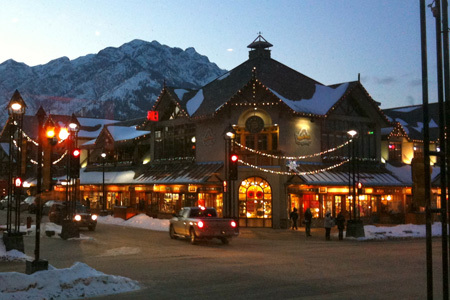 Located in the heart of Banff National Park are three of the world’s finest ski resorts; Mt. Norquay, Lake Louise Ski Area and Sunshine Village. Deal: Discount Ski Tickets for the Big 3! 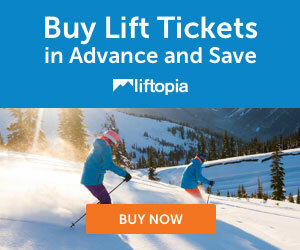 One to 8 day ski tickets at up to 28% off! See All Our Great Hotels in Banff, Canada! 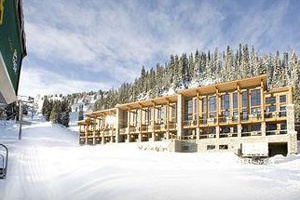 Featured:Ski in and out Sunshine Mountain Lodge - Book it! 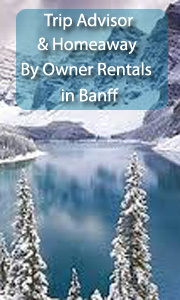 By Owner Vacation Rentals in Banff! 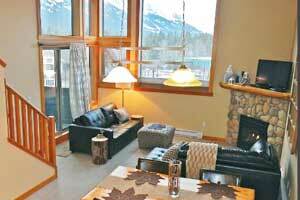 Featured: Cozy Mountain Condo - Panoramic Views to Banff National Park!- 2 bdrm, 2 bath, sleeps 4, from $141! -- Book it! VRBO 60160 -The condo has panoramic mountain views to the northwest overlooking Canada’s first and finest… Banff National Park. The condo was completed in the summer of 2004 and sports all the modern amenities of condo living with a rustic mountain Canadiana Cabin style for a luxurious yet cozy and comfortable mountain retreat. Read more! Great Apres Ski Ideas for Banff! Discount Ski Rentals: 20% off at the base with Christy Sports affiliate Snowtips-Bactrax if you book here! Christy Sports affiliate Snowtips-Bactrax is at the base and offers 20% off of rentals if you order ahead thru our portal to Christy Sports - we have negotiated a relationship with Christy. Ski Banff - Lake Louise - Sunshine is Canada's largest ski destination; a joint venture of the three ski resorts in Banff and Lake Louise; Mt Norquay, Lake Louise Ski Area and Sunshine Village. Visitors will enjoy stunning mountain backdrops, guaranteed lack of lift lines and friendly local hospitality. Banff skiing offers almost 8,000 acres of skiable terrain on one tri-area lift ticket, the seasoned skier or rider will experience plenty of chutes, bowls, steeps and terrain parks to explore, while beginners can get the same thrills on miles of green and blue runs. And all this in an area so spectacular the United Nations has declared it a World Heritage Site.